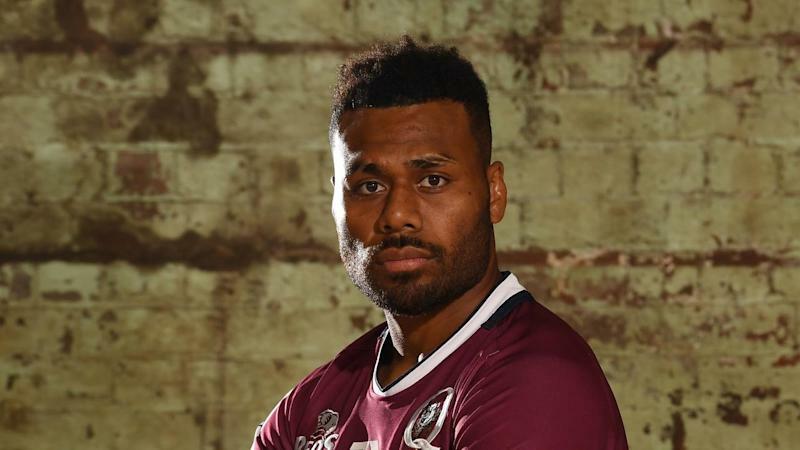 Samu Kerevi believes his passing game can flourish alongside longtime mate and fellow Queensland centre Chris Feauai-Sautia this Super Rugby season. The pair started for the Reds but were both restricted in a 21-19 trial loss to the Chiefs at Ballymore on Friday night. Known for his barging runs, the Wallabies talent boasts a similar game to the fit-again Feauai-Sautia and the pair look set to work in tandem once their campaign begins in New Zealand against the Highlanders on February 22. But the captain said he had spoken to coach Brad Thorn about expanding his passing game to provide a point of difference and build on a partnership that began when they were children. "Me and Chris have been playing together since high school, and even before that when we were like eight, nine," Kerevi said. "We're pretty confident with each other. "But 100 per cent; Thorny has spoken to me about that (looking to spread the ball more); it's about adding that to the game and sharing that load." The Reds trailed 14-0 inside 10 minutes when two kicks in behind exposed their defence. But they won the scrum battle and slowly worked into the game, levelling at 14-14 before both sides scored in a more expansive final 20 minutes. Thorn praised the scrum and their fitness but lamented some soft tries and an inability to convert pressure into points. Kerevi thinks it will come though and has called for calm with ball in hand after several poor options were taken on Friday night. "With our attack game flowing we've just got to hold onto that pill," Kerevi said. The addition of Queensland-raised fullback Bryce Hegarty from NSW Waratahs should help that though, with the 26-year-old bringing much-needed experience in an off-season player swap with Karmichael Hunt. "He's a good footballer, we're very fortunate to have him," Thorn said. "Great to have him back, brings that experience to the group, which is needed. "He's an impressive young man, shows good leadership qualities ... he'll be seeing a lot of footy for us this year."